It is not my forte. Knowing this, I have structured many facets of my life to work around that fact. Currently I am working on two novels at the same time, plus several blog posts each day, and all of their distribution. This work gets mixed in with making dental appointments, dealing with my children’s online teachers, preparing for my daughter’s birthday party on Saturday, and running my household. In some way, allowing myself to be sporadically focused on different things creates a zone of productivity that works for me. I have always scoffed at my husband when he insists that I too, can meditate. I have never had success with the practice, but recently I received advice that makes me more willing to try it. I was told not to try and think of nothing, but rather let the thoughts pass as they will. This sounds like an approach that could work for me because I have a million thoughts running through my head all of the time. Everyone has different talents for focus, and I think that it is important for us to understand that focus is not actually a requirement for achievement. Those of us who are focus challenged, can always find a way to get things done. All is not lost. Housework goes the same way for me. I start a task, move to something else for a while and work on that, then go back to what I started with. Eventually, everything does get cleaned up this way. I have simply developed a method of completing the task that works for me. My son has an unbelievably intense ability for focus. I can be speaking to him, and looking him right in the eye, and he can be a million miles away, completely focused on something in his mind. I know that my husband and I are going to have to work hard to help him find a passion in life that grasps his attention in this way. We will also probably need to be sure that he is making enough money to hire a housekeeper, because he is so inside his head that he rarely sees what is going on around him. The important thing is that I recognize, as annoying as his super-charged focus can be to me on a day to day basis, that it is an enormous talent. His ability to focus is the kind of talent that helps to launch rocket ships. 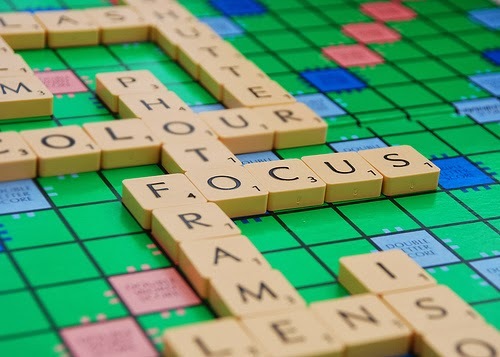 Focus is a funny thing, just like all of the different personality facets of human beings. It has its own advantages and disadvantages. In society, we sometimes put down people who practice self-development. This is a really sad thing. Self-development is a way to help individuals discover their particular strengths and weaknesses, to make them more capable of achieving their dreams. I guess that we are often threatened by others successes, and somehow, pulling people down and trying to hold them back is an unconscious motivation of our own personal fears. I have recently experienced such strong support from the people I know, that I am truly overwhelmed. My circle of friends is wholly responsible for every success that I have in my life, because they have given me the support to make things happen. One of my greatest wishes is that everyone in the world could have as much love and support surrounding them as I do. Let wonderful people into your life and there are no limits to how far you can go. If I can publish a novel as an author who is challenged by focus, then anyone is capable of anything.